2017 Wide Receiver Rankings: Which Busts Will Bounce Back? 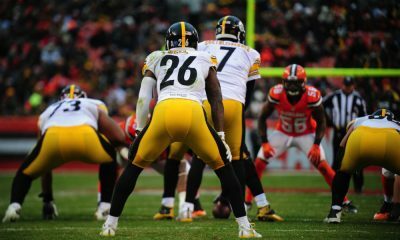 As we inch closer to August and training camps get into full swing, it is time to start getting our rankings and tiers sorted out. I’m here to break down the SCFE Staff’s 2017 Wide Receiver Rankings. Last year was dubbed the year of the wide receiver. More wide-outs went in Round 1 than running backs for the first time ever. The Zero-RB Theory was the Red Ryder BB Gun that everyone wanted to try out. Then the unthinkable (at least to us all-knowing “experts”) happened: receivers busted and were injured left and right. The Top 3 guys (Antonio Brown, Julio Jones, Odell Beckham Jr.) performed around expectations, but the next four that went off the board (A.J. Green, DeAndre Hopkins, Allen Robinson, Dez Bryant) had miserable years due to bad quarterback play and injuries. Overall, six of the Top 11 receivers going into last season were busts. So where can we correct the error in our ways? As you will see with our 2017 Wide Receiver Rankings, you can get these guys at a discount. Look at their ADP’s and there is value to be gained. So here are our 2017 Wide Receiver Rankings. This is an average of our senior football staff: David Gonos, John La Presto, Mark Strausberg and myself. These will be updated weekly throughout the pre-season based off of performance, injuries and team strategy so be sure to check back. No surprises at the top: all four rankers had Antonio Brown as the top-ranked wide-out. I would still argue he is the safest pick of any player in Fantasy Football. Odell Beckham is ranked second by each of us as well. In general, we were in agreement on the Top 5 guys. The discrepancies really started at the sixth spot. All four of us had a different receiver ranked sixth. I definitely have the most faith in Jordy Nelson, giving him his high-water rank of third. La Presto is less of a believer putting the Packer 10th in his wide receiver rankings. There are two other Top-25 receivers with wide discrepancies between our rankers: Sammy Watkins and Keenan Allen. Both are ranked significantly higher by La Presto than me. I am done falling for the two injury-riddled players. John is also on an island with Stefon Diggs. He has the Viking as a Top-20 player at the position while all three of the rest of us see him as a mid-level WR3. Mark has his flag planted with Donte Moncrief. He is the highest on him, including a shocking 21 spots higher than where I rank the Colt. Gonos is highest on the newest Titan, Eric Decker. I could come his way on this as well, once I see how Decker fits in the Tennessee offense. Be sure to check out the QB Rankings and RB Rankings. 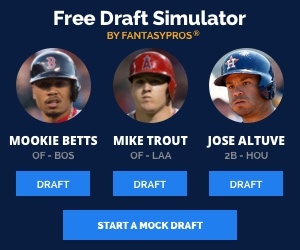 Also, if you are looking for a place to conduct a mock draft or need assistance with drafting in general, check out the Fantasy Pros Draft Wizard, which is a terrific tool that will help you dominate your league. Along with So-Called Fantasy Experts, of course. Be sure to check out the rest of our rankings and the draft kit as it rolls out! Michael Tomlin is an ESPY-nominated, former college football player who stays associated with the game through Fantasy Sports. He has been writing his personal blog, Dirkland.blogspot.com, for three years and it focuses on Fantasy Sports, as well as handicapping. He was born and raised in the DFW Metroplex, and he follows all of the Dallas teams, along with Texas Tech athletics and Manchester City F.C.